Get rid of excess noise. Bose is still king when it comes to ANC, and it's hard to beat the QC20 headphones even if they are expensive. Though they're expensive, the H3 ANC headphones have a great design that fits in with thew rest of B&O's line-up. If you want effective noise cancelling wireless earbuds that don’t cost a fortune, the Plantronics BackBeat Go is the go-to pick. The magnetic housings conserve battery by automatically turning off ANC when connected. These are a great option for athletes and commuters alike. They're unobtrusive, portable, well-designed, and isolate you from the world when you want it. For the price you can't go wrong with these, especially since they have ANC. 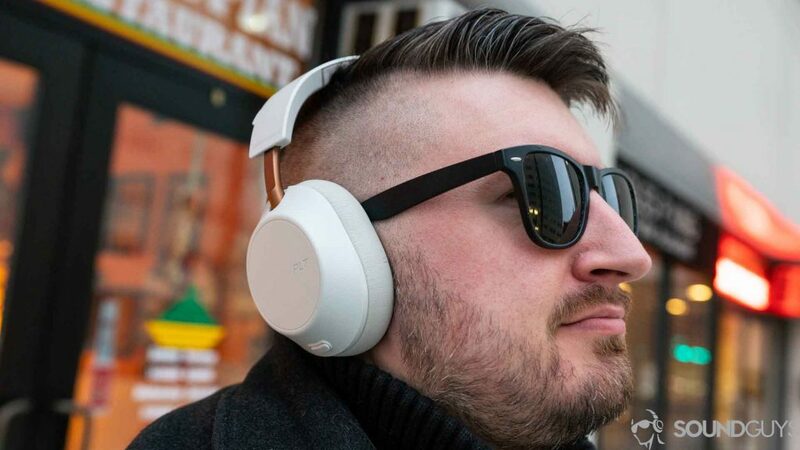 Whether you travel for work, commute to work, or just like listening to music while you drink your morning coffee, noise cancelling headphones are great, but they can still be bulky. Fortunately, there are quite a few manufacturers that have stuffed this tech into earbuds. These are the best noise cancelling earbuds you can get. Editor’s note: this list was updated on March 21, 2019, to include the Audio-Technica ATH-ANC33iS, pertinent research information, and price changes. Bose is one of the leaders in ANC technology, and after years on top of the game its larger noise cancelling headphones have just begun to be challenged by other manufacturers. But when it comes to their earbuds, Bose remains king. Although the QC20 has been updated with a newer wireless version, we’re keeping these at the top spot because you don’t have to worry about battery life. The cable ends in a 90-degree connector and a few inches above that you’ll find a slim block of components. Inside is a battery that will give you about 16 hours of noise cancelling and music playback. It houses an Aware Mode button, so you can hear what’s going on around you when you need to. Of course, you’ll also be able to control volume and playback thanks to a small control module on the wire, but make sure to pay attention to which model you get as they’re specific to Android or iOS. If you’ve used Bose products before, you know what to expect in terms of sound quality. They have good mids and strong lows but are far from accurate. While it seems magical, noise cancellation operates on the principle of destructive and constructive interference. In most cases, the more expensive products tend to have more effective noise cancellation. In order for noise cancelling earbuds to be most effective, a cogent seal must form between the ear tip and the ear canal. Otherwise, a pair of earbuds can use the best noise cancelling technology in the world, but if it can’t get passive isolation right, it may as well be a wash. Working out with noise cancelling earbuds is fine indoors, but if you’re planning to take take a run through town, stick to earbuds with built-in safety features instead. B&O is known for its premium audio products. In fact, compared to some of its other products, the Beoplay H3 ANC earbuds seem tame. But as far as minimal earbuds go, these are gorgeous. The housings are made of a lightweight metal that protects against scratches and drops while weighing only about 40 grams. Where you would usually find a bulky control module, B&O puts a tiny puck-like module on the audio cable. In it, you’ll get a battery that should last you about 20 hours of constant playback with noise cancelling turned on. They also come with Comply memory foam tips, which provide a great seal for a stronger low end, but numerous holes (29 to be precise) in the earbud housing allow for a more natural sound. Nothing compared to the soundstage of open-back headphones, but not bad for a pair of earbuds. The Plantronics BackBeat Go 410 is the company’s answer to consumer-friendly noise cancelling earbuds. The neckband design is reminiscent of the BeatsX or elusive OnePlus Bullets Wireless. For ~$120 listeners get impressive noise cancelling capabilities, a comfortable fit, and sweat-resistant build. Noise cancelling automatically enters Low Noise Mode or High Noise Mode, depending on the context of your current environment. This works so well that I wouldn’t recommend them when walking down the street or running outdoors. They do, however, hold their own in a crowded coffee shop or on the subway. One of the most intriguing aspects of the earbuds, though, is that they give listeners the option for wired listening via an included dual-purpose micro-USB cable, which sheathes a 3.5mm plug. Of course, in order to reap the benefits of this design, your smartphone needs to feature a headphone jack. 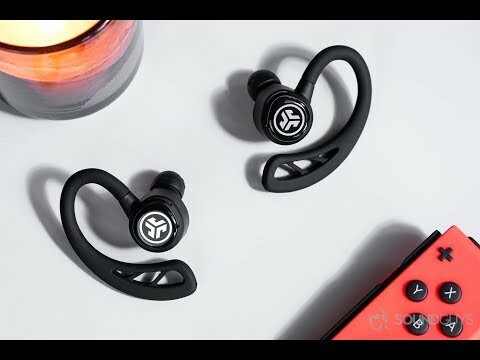 These true wireless earbuds include proprietary wing tips that keep the fit stable while running to catch a cab or running to stay in shape. Although battery life leaves a lot to be desired at 2.58 hours of playback, that seems the nature of truly wireless earbuds. Fortunately, there are more pros than cons to these ‘buds. Like the Sony WH-1000XM3, these earbuds are compatible with Sony’s Headphones | Connect app, which allows for eight preset EQ options and if you want to get really fancy, you can even create your own. What’s more, users can choose to prioritize connectivity or audio quality when streaming. Although we should be able to have our cake and eat it too, true wireless technology isn’t quite there yet, so the option is appreciated. As far as audio quality is concerned, the earbuds cater to the general consumer by emulating the equal loudness contour. The bass emphasis is clearly exaggerated but it makes for a fun listening experience. Meanwhile, the boosted treble frequency response feigns clarity. On the whole, if you want true wireless earbuds with effective noise cancellation, this remains one of few viable options. If you’re not sure if you want to spend massive amounts of money on in-ears, then the Audio-Technica ATH-ANC33iS ‘buds might be more up your alley. These have 13mm dynamic drivers and have a frequency response of 20Hz-20kHz which covers pretty much anything us humans are physically able to hear. You’ll find the microphone and everything needed for the ANC to be effectively packed into the small control module that resides on the audio cable. It also maxes out at 105dB and can actively reduce noise up to 20dB. The ATH-ANC23 doesn’t have a built-in rechargeable battery, instead opting for a standard AAA battery, which provide 60 hours of constant playback. When it comes to noise cancelling earbuds, we performed our due diligence by researching the ones we’ve yet to get our hands on. Bose, recognized as the brand to get when looking for noise cancelling headphones, is awarded as our top contender. However, we made sure to include other, less ubiquitous options that will still suit a wide array of listener profiles. While the Bose QuietComfort 20 still reigns as our pick for the best noise cancelling earbuds due to the audio quality delivered by wire, you’re bound to enjoy any of the above. The wireless Bose QuietComfort 30 is, as the name implies, comfortable and, as the brand implies, expensive. Bose QuietControl 30: If you’re looking to ditch the wires while retaining good audio quality, this Bose option is a great but pricey pick. Plantronics Voyager 6200 UC: Listeners who want to rule the office and roam freely should check these earbuds out. Class 1 Bluetooth and multipoint connectivity make using these a breeze. Chris rocks the Plantronics Backbeat Go 810 which completely covers the ears. While this site does operate on referral links, no one benefits from championing one product over another. In fact, the writers don’t know if a link was ever clicked. Ultimately, we want you to be happy with your pick, and if you don’t get anything, we want you to close out of this tab feeling more informed about audio.